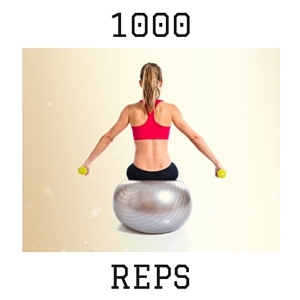 The workout below lists the total number of reps you need to do for each exercise. You can mix and match based on how you feel. If you want to combine exercises (such as squat, then overhead press) feel free. Just be sure to listen to your body. Remember to go for QUALITY over quantity. If you are unclear what the exercise is I am describing, please look for a video or arrange for an in-person tutorial with me.